AUBURN HILLS, Mich. – Racism is much more than backward attitudes harbored by individuals, a recent panel of experts here showed. “From Redlining to White Flight, the History of Housing Segregation and the Importance of Regionalism” – a joint program of the Thomas M. Cooley Law School at Oakland University and the Michigan Roundtable for Diversity and Inclusion – presented shocking details of how government and industry played a big role in segregating our neighborhoods and schools. 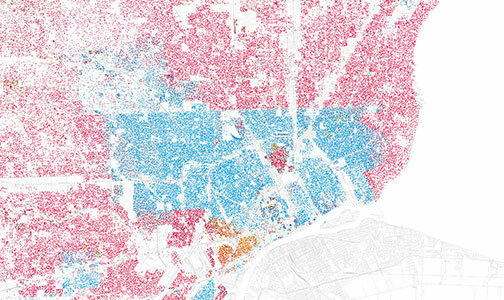 Metropolitan Detroit is one of the most racially segregated communities in the entire country. How did Southeast Michigan – and many other communities in the U.S. – become so segregated? Cooley law student Amy Marino began by giving an overview of how federal law increased residential segregation of city neighborhoods, which in turn led to racially segregated schools. The Home Owners Loan Corporation (HOLC), created in 1933, and the Federal Housing Administration Act of 1934 were created to encourage home ownership and spur jobs in the housing industry during the Great Depression. However the formula they used to determine who would be approved for government-backed mortgage insurance (a requirement to qualify for a loan) created a cancer that spread, laying the basis for the segregated cities and a host of related problems we face today. Surveyors hired by the HOLC were sent into the neighborhoods of 240 American cities. In all of those 240 cities, they created color-coded maps of neighborhoods using factors like race, nationality and class, but the race of the inhabitants was the dominant one. The whole process and thinking were rooted in racism and inequality: the future trajectory of a neighborhood’s property values – and the probability a bank loan would be repaid – would be based on its racial composition. A neighborhood colored “green” would be all white – and have restrictions in place to make sure it stayed all white – and be located far away from poor neighborhoods. In such a neighborhood, loans would be made available at good rates to buy or build a home there, or in the soon to be growing suburbs. A “blue” neighborhood might be all white but be in closer proximity to areas where Black and foreign-born families lived. It also would not have as many racially restrictive covenants barring the selling of homes to people of color. To the shock and amazement of the panel’s audience, Marino read from survey reports which color-coded the city of Philadelphia. The term “undesirable” was used to describe people of color and the foreign born. A person living in a white neighborhood near “undesirables” might qualify for a loan to buy a home but not to build a new one. 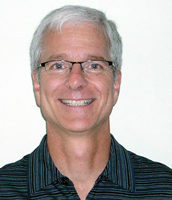 A “yellow” coded neighborhood, Marino said, was a mixed neighborhood of immigrants and white working class people, and might include a few African American families. Anyone living there would find it impossible to get a loan to build a home and even have a hard time being approved for a loan to buy. The term “redlining” came from the neighborhoods coded “red.” This is where there was a concentration of African American and foreign born families. These would be far away from “green” neighborhoods. “If you lived here, you just weren’t going to qualify,” said Marino. What started in1935 was only formally ended in 1968 when the Fair Housing Act made this type of racial coding illegal. However segregation and suburban sprawl were already entrenched. This 30-year process was a major development, one that changed the American landscape, Marino said. She outlined the negative consequences: white families who qualified for the loans moved out of the cities, the urban tax base suffered, suburban growth spiraled outward, city populations dropped, city services and schools declined. The city neighborhoods where “undesirables” were allowed to live deteriorated, since these homeowners wouldn’t qualify for loans to repair their dwellings. Redlining meant minorities were forever stuck in neighborhoods destined to decline. They could neither move into more affluent neighborhoods nor receive the loans necessary to fix up their current residences. Neighborhoods that had once been racially mixed became exclusively Black. The impact of redlining has extended far beyond housing segregation. In Detroit and in cities throughout the nation, it also laid the basis for segregated schools – a problem that persists to this day. For those who think housing discrimination is a thing of the past, Judith Levy, assistant U.S. attorney in the Eastern District of Michigan, told the crowd that housing is where segregation remains strongest. She cited numbers from a 2004 Department Housing and Urban Development study that stunned the crowd. Between 2000 and 2004 there were an average of over 1.6 million acts of rental discrimination against African American each year and an additional 190,000-plus cases of housing sales discrimination each year.